In a sport that has the reputation for supporting our nation’s military, the excitement is palpable as the first ever Naval Academy graduate, Lt. Jesse Iwuji, prepares to debut in the ARCA racing series at Daytona International Speedway. 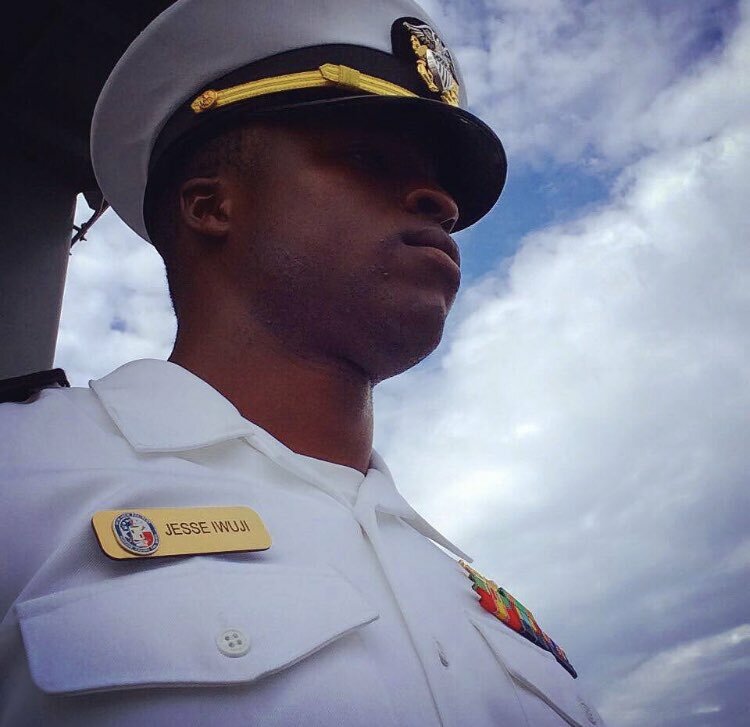 Navy Officer, Midshipman, rookie, Jesse Iwuji ready for #ARCA debut. 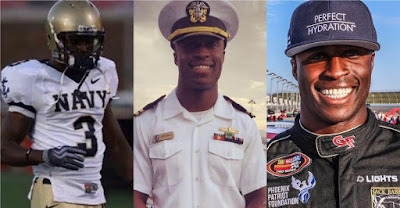 Lt. Iwuji, who is understandably invested in promoting brands that support our military, is particularly proud to team with BBMC Mortgage who is helping propel his dream of moving from Navy to NASCAR. BBMC Mortgage is a full-service lending company that specializes in VA loans and supports Veterans with a monetary donation on every qualified closed loan. To add to the frenzy of activity surrounding Lt. Iwuji’s debut at Daytona on February 10th, the US Navy will be filming a special piece on Lt. Iwuji being “forged by the sea.” The special will be featured on NAVY.com in the coming months. “I am so thankful for my time at the Naval Academy” says Lt. Iwuji. 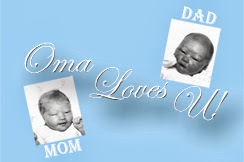 “It was one of the best decisions I have ever made. For their part, BBMC Mortgage couldn’t be prouder to be teaming up with Lt. Iwuji. 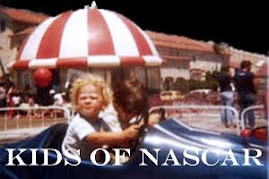 You might have noticed Jesse is sporting a different racing number than you have regularly seen him with. Patriot Motorsports Group has partnered with Darrell Basham Racing to help DBR keep their points up in the points standing this year. DBR has competed in ARCA since 1972 and the #34 will continue to live on in the series with Patriot Motorsports Group taking the helm for some races this year. Fans can follow Lt. Iwuji @jesse_iwuji on all social channels. 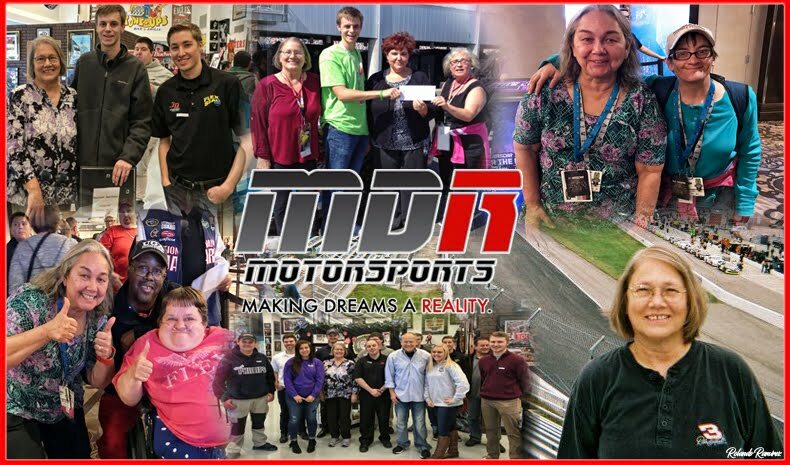 BBMC will also be announcing some exciting money saving opportunities and contests for fans like VIP access to upcoming races, giveaways and more. Learn more by following on Facebook and Twitter @BBMCMortgage or by visiting mybbmc.com today. The Daytona car reveal will be coming soon on the social channels above so be sure to follow. BBMC Mortgage, a company that specializes in making dreams come true. From home mortgages to specialty loans and refinances, they help individuals and families see their American Dream become a reality. Beyond that, BBMC is notorious for lending a hand to active-duty military and veterans, joining in national campaigns for charities like the USO while also spearheading their own Patriots Charity Initiative where they have donated over $2,000,000 to date. One of these initiatives is the “We’ve Got Your Six” Sweepstakes, where the company will make one year’s worth of mortgage or rent payments for the contest winner and will be announced by Lt. Iwuji later.